When you learn a new language, it’s important to get a lot of exposure to it. One of the best ways to do this is by watching movies and TV shows in your target language. In general, it’s better for you to watch foreign-language videos with subtitles, rather than without them. However, this gives rise to a question: what’s the best type of subtitles to use? This is an important question, because a simple modification, in terms of the type of subtitles that you use, could have a significant impact on the effectiveness of your learning process. In the following article, we will see which subtitles are most effective, and how the choice of which subtitles to use varies based on which stage you’re at in the learning process. Dutch students learning English as a second language were slightly better able to process English sentences after watching English material with English subtitles than they were after watching English material with Dutch subtitles. English-speaking students who were learning Spanish had a slightly greater improvement in vocabulary recognition after watching Spanish films using Spanish subtitles, compared to students who watched the Spanish films with English subtitles. They also enjoyed watching the films more, and connected with the material better. Turkish college students who were learning English did not experience any significant improvement in their listening comprehension after watching an English video using English subtitles compared to watching it with Turkish subtitles. Overall, it appears that it’s generally preferable to use foreign-language subtitles as opposed to native language subtitles, though the difference isn’t huge. In addition, keep in mind that your preference could depend on how well you speak the foreign language. Specifically, while foreign-language subtitles tend to lead to better learning outcomes for most people, students who are just beginners might struggle with them. As such, if you have only a limited proficiency in your target language, it might be better for you to use subtitles in your native language first, until you feel comfortable with having both the audio and the subtitles in the foreign language. So far, we discussed the two most common schemes which are used when viewing foreign-language material; these consist of an audio/soundtrack in the foreign language, together with subtitles in the foreign language or in the native language. Next, we will see two other types of viewing schemes, which are less-commonly used, but still worth considering, since they can be valuable in your learning process. Reverse subtitles are subtitles in the foreign language, which appear together with a soundtrack in the native language. In some areas of language learning, such as vocabulary learning, these subtitles can be preferable to native-language subtitles on a foreign-language soundtrack. Reverse subtitles are especially beneficial if you’re a beginner, since they can help you get exposure to your target language in a comfortable environment, where you don’t feel overwhelmed by constantly struggling to understand what the characters are saying. In addition, they are beneficial since they offer a great way to get some relatively passive exposure to your target language; just enable the foreign-language subtitles while watching your regular shows, and you’ll notice yourself using them more and more, as you manage to pick up bigger units of texts. Furthermore, another important advantage of reverse subtitles is that it’s sometimes easier to find films and shows in your native language than in your target language. For example, if you’re an English speaker, you will likely have a much bigger selection of things to watch in your native language than in most other languages. However, the disadvantage of reverse subtitles is that using them means that you’re not developing your proficiency in several important areas of the language, and especially in terms of your listening skills. This doesn’t mean that you shouldn’t use these subtitles at all, but it does mean that they can’t be the only type of subtitles that you use throughout the learning process. Overall, reverse subtitles can be beneficial, but it’s important to keep their limitations in mind. If you’re a beginner, they offer a great way to achieve exposure to your target language in a comfortable environment that encourages things such as vocabulary acquisition. However, because using them means that you’re not exposed to the sounds of your foreign language, as your language proficiency grows, you should starting using other types of subtitles too. Dual subtitles are subtitles that use a foreign-language soundtrack, together with subtitles in both the foreign and the native language. This means that these subtitles provide the most information out of all types of subtitles. This can be advantageous, by giving you as a learner more valuable input, but the problem is that there is often not enough time to process all this input while watching a show. One way to deal with this is to stick with looking at either the foreign-language or native-language subtitles exclusively, and then refer to the other type of subtitles only in specific cases, where you need a translation. For example, this means that if you’re focusing on the foreign-language subtitles, then you will likely look at the native-language subtitles only in cases where you need a translation for a certain word or phrase. Note that some platforms offer a special type of dual subtitles, where you only see the foreign-language subtitles normally, but hovering over a specific word shows you its native-language translation, while pausing the show. Overall, this type of subtitles can be highly valuable, as long as you can find a platform where it works well, and as long as using it doesn’t cause you to feel overwhelmed while watching your show. First, it’s important to keep in mind the fact that the earlier you are at the language-acquisition process, the more input in the native language you’re probably going to need. As you improve your proficiency in the target language, you will be able to handle more foreign-language input, but as with any other type of learning, this is a process that takes time. In addition, it’s important to remember that there is a lot of variation in people’s personal preferences. This means that different people learn in different ways, and can benefit more from using different materials. As such, when choosing which subtitles to use, experiment and try different things, until you find the solution that works best for you. Finally, remember that the most important factor to consider with regards to choosing which subtitles to use is your motivation to engage in the learning process. If you won’t engage with material in the target language, then you won’t be able to learn it. Therefore, if you find yourself not watching things because the material is too difficult, it’s better to switch to something that you’re comfortable with (e.g. native-language subtitles), as long as it means that you’re actually engaging with foreign-language material in some way. At the same time, however, be aware that language learning can be difficult sometimes, and that eventually you need to advance to the more complex material, even if it seems scary at first. If you’re watching movies, TV shows, or any other material in your target foreign language, it’s generally better to watch it with subtitles than without them. Foreign-language subtitles are generally a slightly more effective study aid than native-language subtitles. However, if you’re a beginner, you’re probably going to need subtitles in the native language at first, until you get to a stage where you can cope with having both the soundtrack and the subtitles be in the foreign language. Two other helpful types of subtitles are reverse subtitles, where foreign-language subtitles appear together with a native-language soundtrack, and dual subtitles, where the foreign-language soundtrack appears together with subtitles in both the foreign and the native language. Your choice of subtitles will likely change over time, as your foreign-language proficiency grows. In addition, different people prefer different types of subtitles, so experiment to see what works for you. When it comes to learning, the main thing you should focus on is increasing the time spent engaging with material in your foreign language. 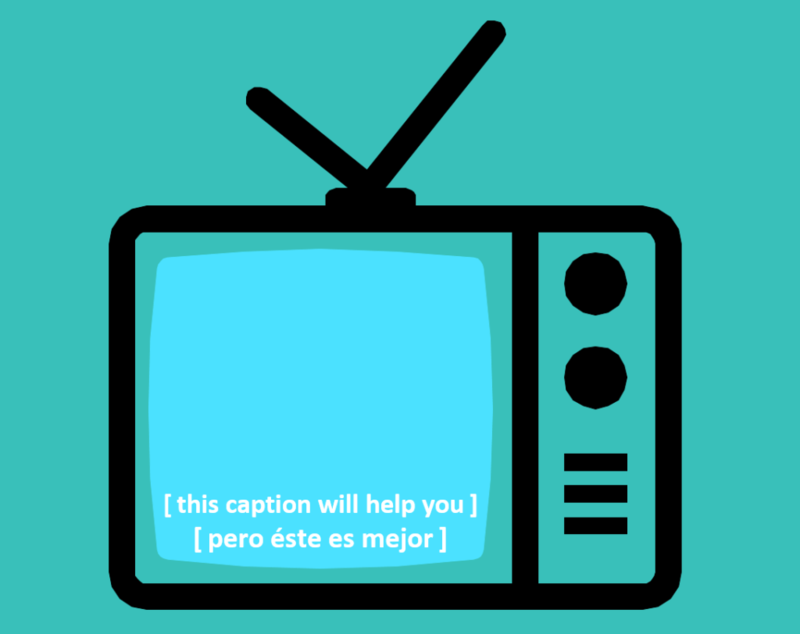 As such, when it comes to choosing which subtitles to use, pick the ones that increase your motivation to watch things in your foreign language, since the more material you watch, the more you will learn.